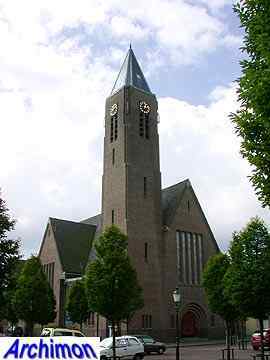 In the 1920's the Gereformeerde Kerk, although conservative in many ways, commissioned the construction of many new churches in Expressionist style. 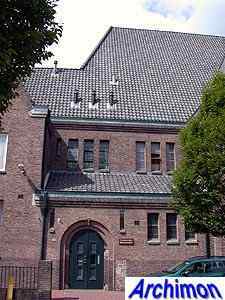 Often these buildings were very unconventional. But unlike his younger colleagues B.T. 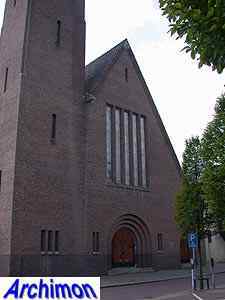 Boeyinga and E. Reitsma, who built for the same denomination, Tj. Kuipers opted for a much more moderate form of Expressionism. 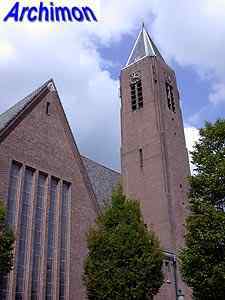 Only a few churches in this style were built, and the Wilhelminakerk in Bussum was probably his very last church in the Netherlands. 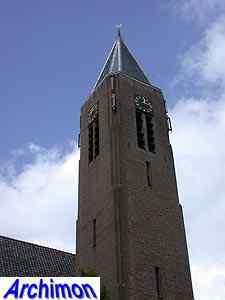 Probably the most interesting part of the church is the tower, the corners of which are decorated by 'grooves', the number of which increases upwards. 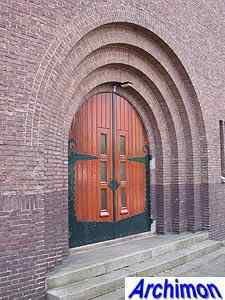 The rest of the church is sparsely decorated, although there are a few doors with interesting jugendstil ironwork. 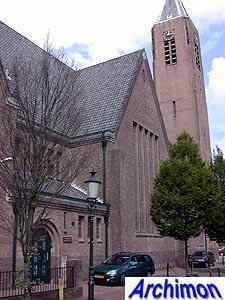 When in 1995 the Gereformeerden merged with their former rivals of the Hervormden, it was agreed that the Wilhelminakerk would be used as their common church, which meant that the reformed Vredekerk was closed.